Enjoy a spacious kitchen in your new Apartments of Wildewood apartment. As the New Year approaches, many people crave new beginnings. Nothing signifies a fresh start quite like a new living space. It symbolizes an exciting new chapter, with boundless opportunities for positive change and organization. Are you excited for this journey and looking to rent an apartment in Saint Mary’s County? Look no further. 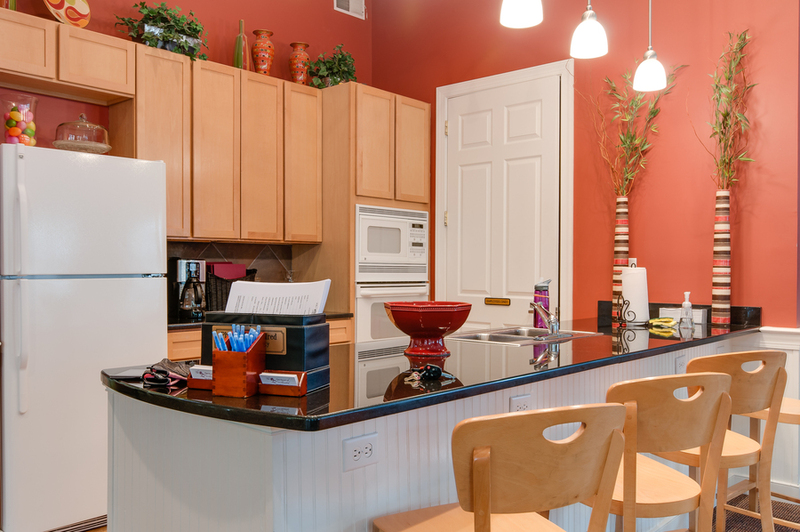 The Apartments of Wildewood are a premier rental community located in the heart of Saint Mary’s County! Read below to learn more about our apartments and find out why they’d be a great fit for you. Fill out a rental application today. Residents at The Apartments of Wildewood have access to a clubhouse, two sparkling pools, on site storage and a 24 hour fitness center (making it easier for you to tackle those exercise related New Year’s resolutions on your own time). There are also several walking paths nearby, a covered picnic pavilion with barbeque grills and a children’s playground. Perfect for families and young adults. Unlike some other apartment complexes, we take pride in offering a 24-hour maintenance service. Your new apartment with feature an eat-in kitchen, high ceiling, intercom system, private patio/balcony, dishwasher, full-size washer and dryer, walk-in closets, soaking bathtub, gas cooking, natural gas heating, microwave and in some cases, a fireplace or vaulted ceiling. Garages and car ports are also available in select units. All units have large windows and let in a beautiful amount of natural light. Right now we are offering a 13-month lease, with one month free! We are also offering a lease buy-out/payment of penalty. The Wildewood Advantage Program is also implemented to support our community and military. The program offers flexible lease terms, discounted deposits with credit approval, discounted deposits for active duty and retired military as well as many government contractors. Deposit discounts are also available for many public servants. Discounted cable is available to all residents. For more tips and info about renting with Wildewood, check out our Facebook, Twitter, Pinterest,Google+, orLinkedIn. This entry was posted on Friday, January 1st, 2016	at 12:29 am	. Both comments and pings are currently closed.